Situated in Sultanahmet, the Imperial city centre of the Byzantine and Ottoman Empires, Deniz Houses and its sister hotels, Sultan’s Inn and Naz Wooden House offer the visitor the best of all possible locations - close to historical monuments set against a backdrop of breathtaking natural beauty, and surrounded by the sights and sounds of modern Turkish life. As you wake up each morning, you can feast your eyes on the sun rising over the Sea of Marmara, or on the fabled Blue Mosque built by the legendary Ottoman Emperor Sultan Ahmet I (after whom the district is named) or the Aya Sofya Museum, one of the greatest masterpieces of Byzantine architecture. More importantly, these and several other “must see” historical sites are just a short stroll away. Step out of the hotel onto the winding cobblestone streets and you feel immediately that you are at the heart of modern Turkish life. Cafés and restaurants serving the best of Turkish cuisine at reasonable prices (including the famous fish restaurants and kebab houses) are within each reach. Shopping enthusiasts will revel in the Arasta Bazaar, where you can bargain for and buy an array of gifts from Turkish carpets and kilims (rugs) to crafts, toys, souvenirs and candy. HOW TO GET TO DENIZ HOUSES HOTEL ? By Car : Follow the Kennedy Street and follow the signs heading to Sultanahmet. After you turn from Catladikapi, again turn from the first right and Deniz Houses located on the right hand side. From Istanbul Airport (ISL): The most convenient way is using our private transfer service. That is a reliable and smooth service with a fixed price. Otherwise, you can use the shuttle service from the airport to get to Sultanahmet Square, from where you need to walk about 10 minutes by using the location map on our web site or using a similar application on your mobile phone. You can find the time-table for the shuttle service from ISL Airport to Sultanahmet through the following link. The cost is 18 TL per person one way. The distance is 52 KM and the estimated drive time is about 110 minutes in usual traffic conditions. From S.Gokcen Airport (SAW): The most convenient way is using our private transfer service. That is a reliable and smooth service with a fixed price. 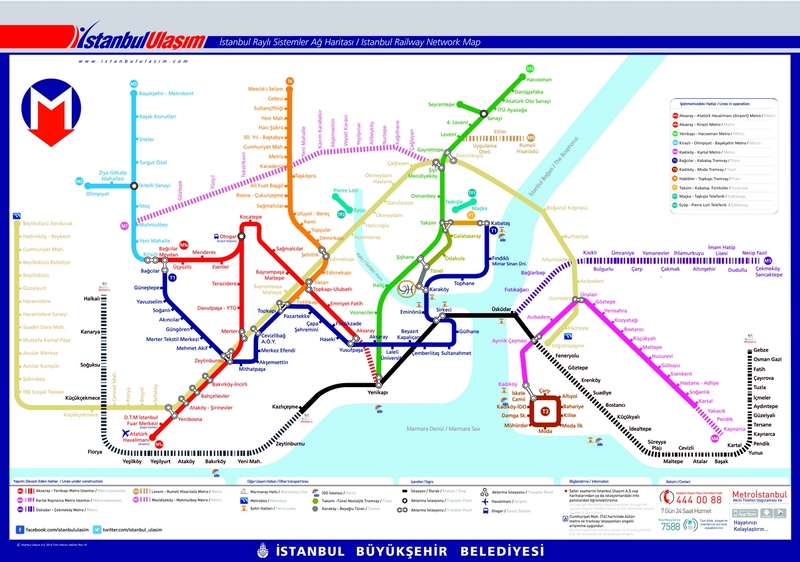 Otherwise, you can use the shuttle service from the airport to get to Taksim Square, from where you can either take a taxi (average fee is about 25-30 TL maximum) OR use the Funicular from Taksim to Kabatas and from there the tram to Sultanahmet. Once you drop-off at Sultanahmet tram stop, you need to walk about 10-15 minutes to the hotel. The shuttle service from SAW Airport to Taksim starts at 04.00 am and ends at 01.00 am with departure every half an hour. The fee is 18 TL per person one way. The distance is 55 KM and the estimated drive time is about 90 minutes in usual traffic conditions. Extra travel time from Taksim to the hotel by taxi is about 20 minutes and 45 minutes with public transport as mentioned above.